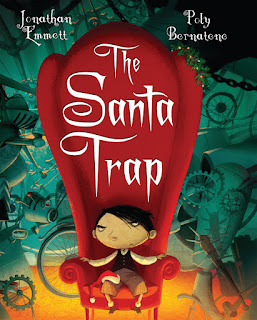 The World of Peachtree Publishers: A Santa Trap contest! Bradley Bartleby is heating up the Twittersphere with his jolly threats to good ol' St. Nick! Want a chance to win your own copy? Follow along @BradleyBartleby and retweet his daily updates, adding #SantaTrap (when there's room to do so). That's it! We'll pick 5 winners at the end of the BADvent Calendar, so get to tweeting! The more retweets, the more chances you'll have to win!